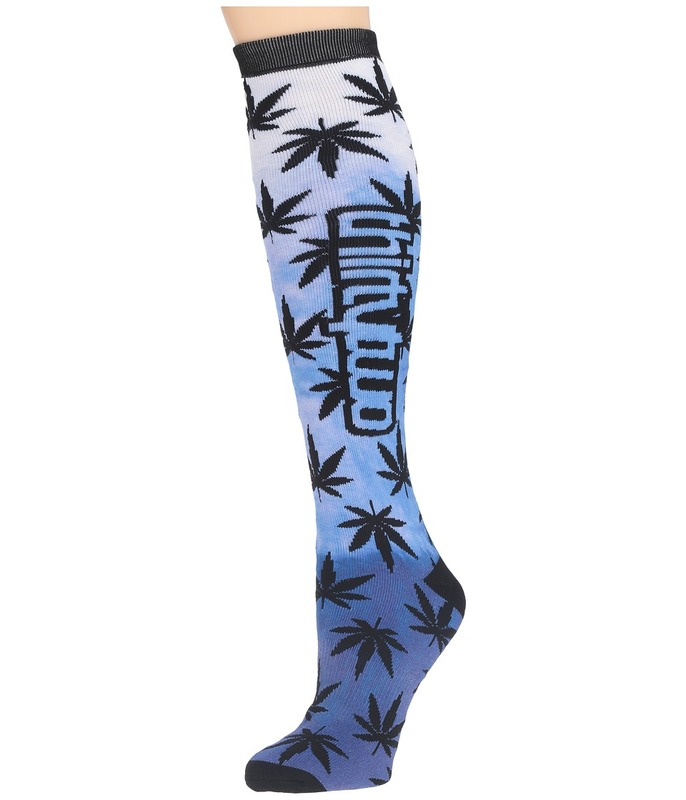 Keep your style chill while you get after it with the thirtytwo Reverb sock! Tie-dye medium weight snowboard sock. Jacquard logo adorns shaft. Allover print for added style. Ribbing on cuff and across foot. 90 percent polyester, 8 percent nylon, 2 percent elastane. Machine wash warm, tumble dry low. Imported. 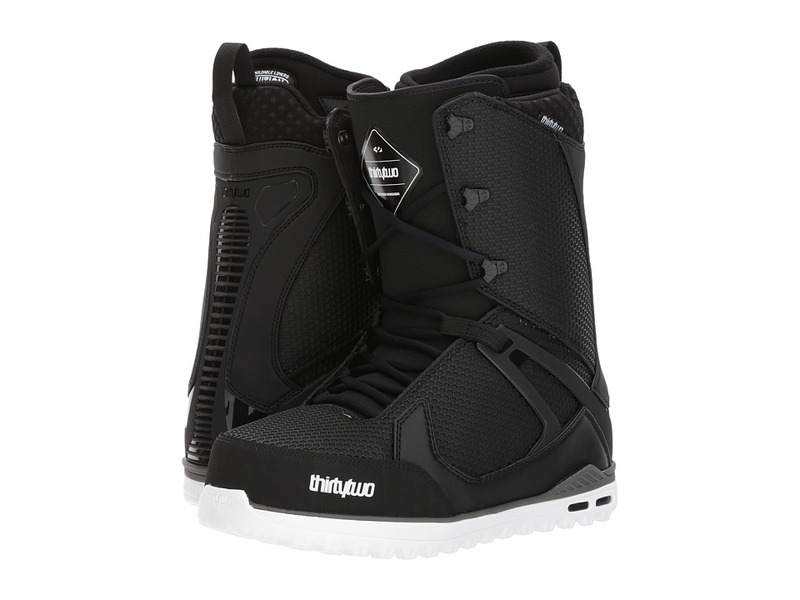 With the perfect blend of support and comfort, the thirtytwo TM-Two boot is setting the bar higher for all-mountain shredding! Traditional lacing for a custom fit. 3-D moled tongue for an even flex. Tongue tension system. Level 3 liner: &amp#8226 Heat moldable dual-density intuition foam. &amp#8226 Built taller for additional support, and heel hold. Level 3 footbed: &amp#8226 Molded Evolution Foam with heel cradle. &amp#8226 Arch support and heel cushioning. Articulated cuff eliminates shell distortion. Performance backstay provides enhanced spine support. Storm Shield all-weather seal. Overmold fused overlay. Pressure pad alleviates internal lace bit. Power Cuff adjustable support. Heel hold system for locked-down performance. Vibram outsole offers superior traction and durable use. System G2 gel offers temperature independent cushioning. 1:1 lasting. Flex: Stiff Imported. Measurements: Weight: 2 lbs 9 oz Shaft: 10 in Product measurements were taken using size 11.5, width D - Medium. Please note that measurements may vary by size. Get the perfect fit, every time! Roll with the punches in the convenient fit of the thirtytwo STW Boa boot. BOA coiler for a fast, easy precision fit. 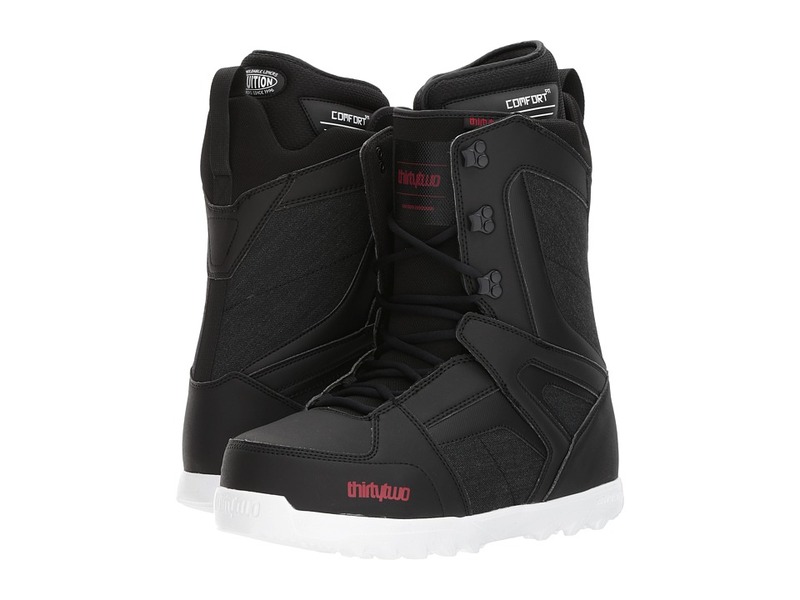 Soft flexing boot is perfect for beginner to intermediate riders linking turns or popping ollies. 3-D molded tongue for an even flex. Comfort Fit Liner: &amp#8226 Heat-moldable dual-density intuition foam. &amp#8226 Integrated lacing system. &amp#8226 Grip and heel hold. &amp#8226 Hook-and-loop overlay prevents heel slippage. Level 1 footbed. Internal lacing system offers superior heel hold. Overmold fused overlay. Independent eyestay for a support fit. Evolution foam outsole shaves weight and delivers cushioning comfort. Imported. Measurements: Weight: 1 lb 15 oz Shaft: 10 in Product measurements were taken using size 12, width D - Medium. Please note that measurements may vary by size. Dial in the perfect fit with the versatile thirtytwo Lashed Double Boa boot! Everything you~ve come to expect with the Lashed with the convenience of the dual BOA closure system. Independent eyestay with zonal BOA tightening for forefoot support and parallel cable pattern for instep and heel lock. Ease up on the reels for a more forgiving flex for those park days. Storm Shield all-weather seal. Heat-moldable performance fit liners. 3-D molded tongue for an even flex. Team internal harness with standard height provides medium support, high flexibility, and heel hold. Articulated cuff eliminates shell distortion. Performance backstay for enhanced spine support. Pressure pad alleviates internal lace bite. Power Cuff for adjustable support. Level 2 molded footbed features heel cradle and arch support. 1:1 lasting. STI Evolution Foam outsole offers lightweight cushioning. Imported. Measurements: Weight: 2 lbs 1 oz Shaft: 10 in Product measurements were taken using size 8.5, width M. Please note that measurements may vary by size. 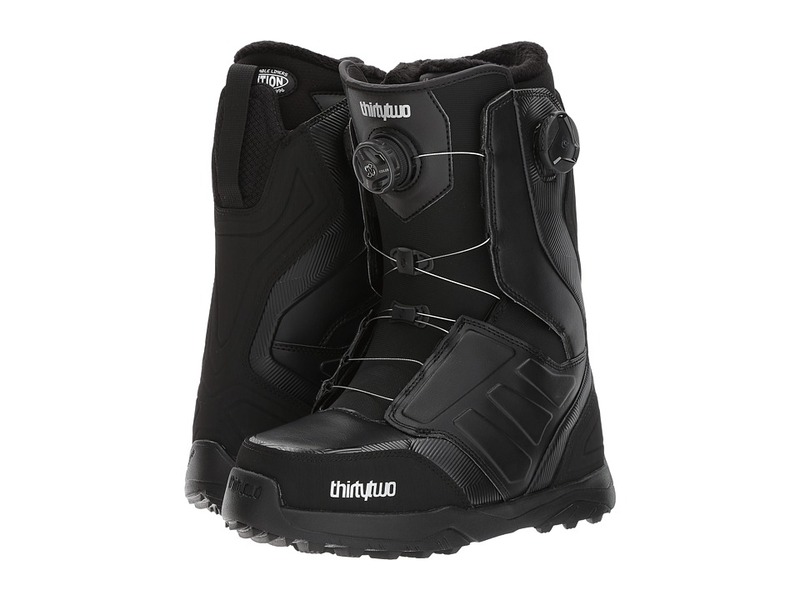 Ride in complete comfort and style in the athletic and nimble thirtytwo Prion boot! Designed with an easy flex, ideal for beginners, this boot will help you progress to the next level. 3-D molded tongue allows for a smooth flex to transition from edge-to-edge with ease. STI Evolution Foam outsole offers lightweight cushioning. Level 1 molded footbed for added comfort. Level 1 lining: &amp#8226 Heat moldable dual-density intuition foam. 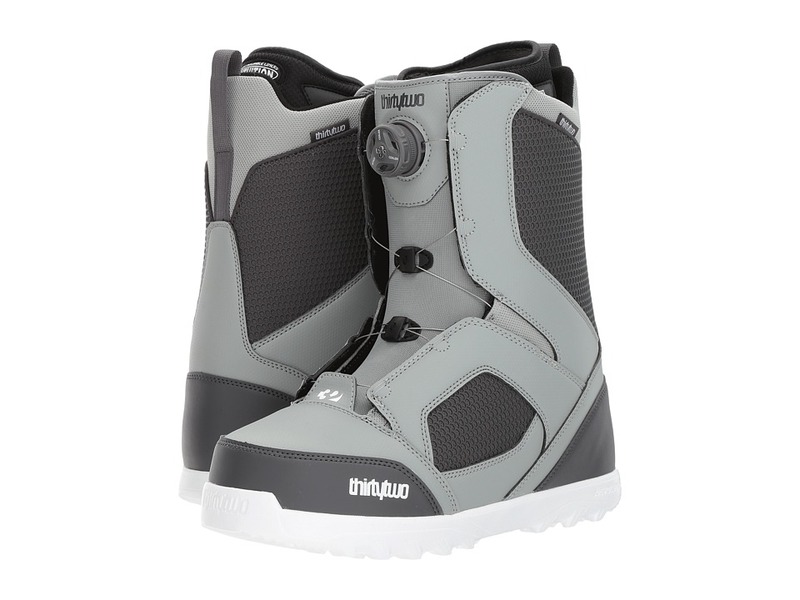 &amp#8226 Integrated lacing system, grip, and heel hold. &amp#8226 Hook-and-loop overlay prevents heel slippage. Flex: soft 1:1 lasting. Imported. Measurements: Weight: 1 lb 12 oz Shaft: 10 in Product measurements were taken using size 11.5, width D - Medium. Please note that measurements may vary by size.